We have significant new information regarding Jared Kushner’s use of private email. As I discussed earlier in the week, if his attorney has been telling the complete truth (which is a big if), then Kushner does not appear to have violated the rules regarding the use of personal emails as Hillary Clinton did. The differences were that Clinton exclusively used a private server, destroyed over half the email with claims later shown to be false that she only destroyed private email, discussed classified information in her private email, and failed to turn the email over to be archived as required. Kusher’s lawyer had claimed that he primarily used government email and that he has turned over copies of private email discussing government business to be archived. 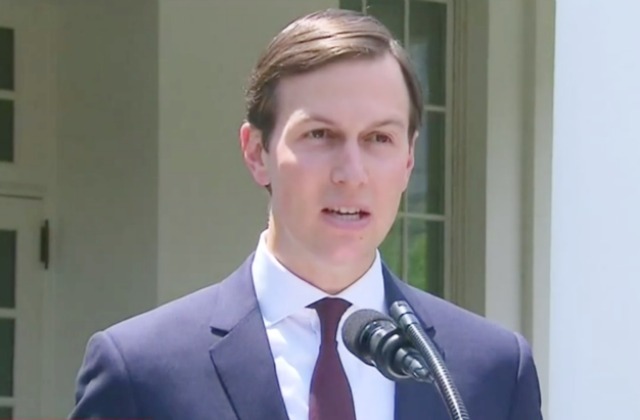 In his closed interview with the staff of the Senate intelligence committee, White House senior adviser and presidential son-in-law Jared Kushner did not share the existence of his personal email account, which he has used for official business, CNN has learned. The emphasis in the letter on “all other” personal accounts not known by the committee would seem to be a reflection of the frustration the committee leaders feel with that fact that Kushner was not up-front about the existence of his personal email account and their desire for him to cover the bases of all his possible communications avenues when responding to their letter. This issue could become more serious if there emerge any emails or communications related to the investigation into Russian interference in the 2016 election that Kushner has not turned over, and whether he did so with the express purpose of concealing information from the committee. Kushner has been criticized in the past for initially not disclosing more than 100 contacts with foreign leaders including those from Russia, as well as ownership of a multimillion dollar tech company with links to Goldman Sachs and businessmen Peter Thiel and George Soros. Kushner was also one of three top campaign officials or surrogates who failed to disclose a June 2016 meeting with a woman billed as being with the Russian government and having incriminating information on Hillary Clinton. Of course Hillary Clinton was also far from honest in her testimony before Congress. Her testimony to the FBI, when she faced a more serious risk of perjury and was therefore more likely to be honest, differed significantly from what she had been saying before Congress and to the American people. « How Could Hillary Clinton Possibly Win With Twitter And Facebook Both Infiltrated By Putin?